Home / CalDay – Science Bonanza! 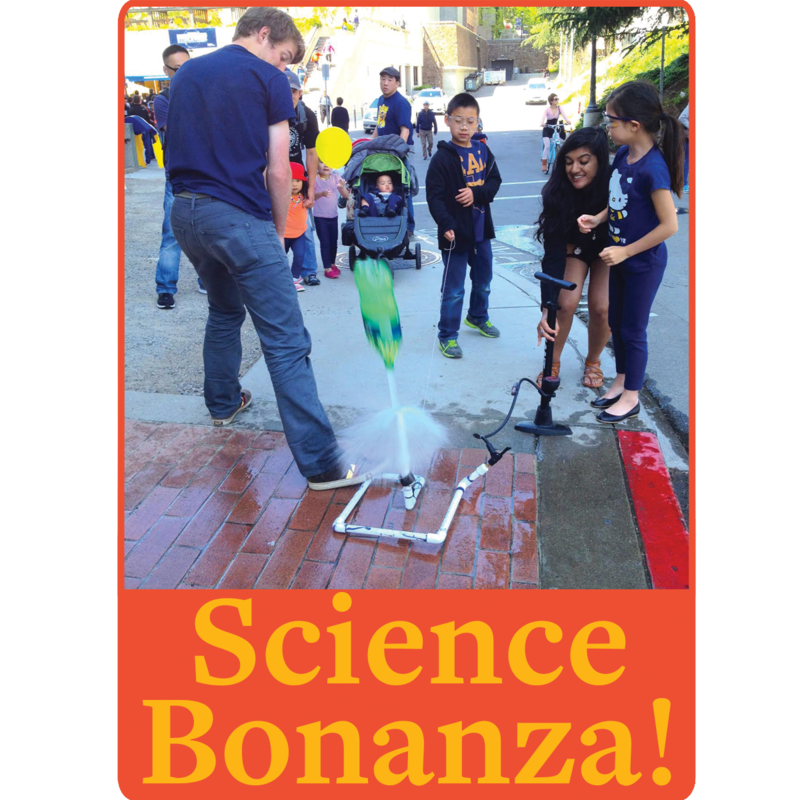 Pick up your Science@Cal Passport to Science here and start your adventure! As you make your way around campus, look for participating activities to get your passport stamped along the way. Who lays eggs? How do animals hide their eggs and why? Check out some real natural history specimens, play a game and decorate a camouflage egg of your own! See the unseen at the very edge of our visible world. Get a new perspective on our place in the universe and meet extraordinary new friends. Explore big scientific mysteries by going incredibly small with Deep Look, a new ultra-HD (4K) short video series created by KQED San Francisco and presented by PBS Digital Studios. Our popular science magazine presents a sampling of the research currently going on at UC Berkeley. We will have copies of the magazine you can take home with you, as well as activities related to a couple articles we’ve published in the last few issues. Kids can be a rocket scientist at Cal Day! Stop by CRS’s table to make your own balloon-powered car using the same basic principles that send rockets to Mars. Then take the car home with you for more experiments! Do you know what a scientist looks like? Learn about BEAM and try your hand at building the best marshmallow catapult of them all. Also be sure to visit Hearst Mining Circle to launch soda bottle rockets! Check out some cool science books (and check them out!) get a library card and find out how to connect with science at the library! Artist & Craftsman Supply will teach you a fun and easy way to paint your own animals! Come by and get your creativity flowing. Free and fun for all ages!